The above video comes from the HIBT website. 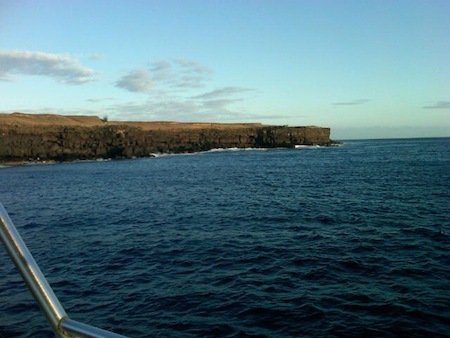 The Maggie Joe can be seen in the video at several points (look for the yellow hull!). 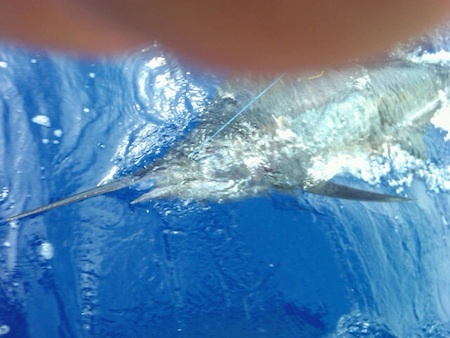 Maggie Joe is featured at 1:25 and 1:40 during the video with a Blue Marlin on the line jumping through the water. 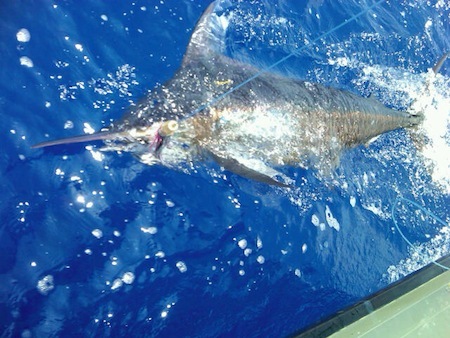 Captain Mike and the Maggie Joe finished Day 1 with 1 Blue Marlin and 1 Spearfish tagged. 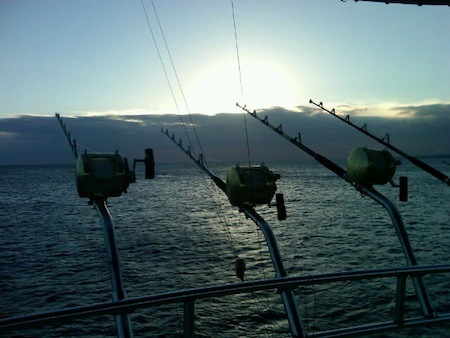 The video also has some great information on the tournament specifications as lighter tackle is used in this tournament with greater points awarded for fish billfish caught on lighter tackle. 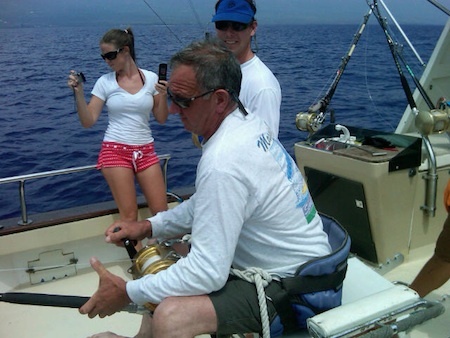 Good luck to Maggie Joe and Captain Mike as they look to build on their catch during Day 2. Captain Mark working up a sweat in the fighting chair! 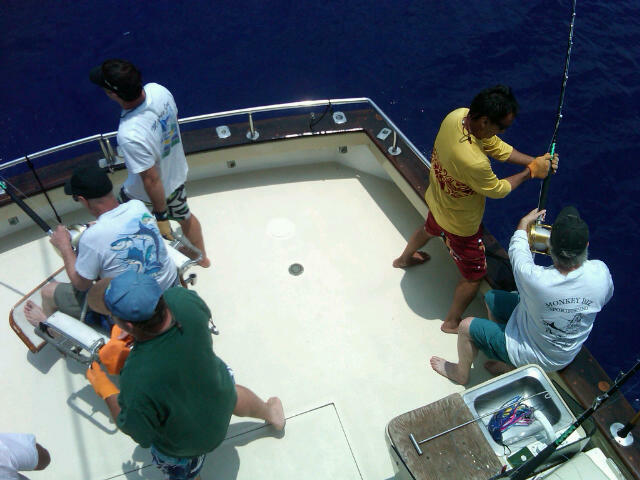 Captain Mike, Captain Mark and Mate Arya spent the day having some fun while deep sea fishing in Kona, Hawaii while waiting for the prestigious HIBT. 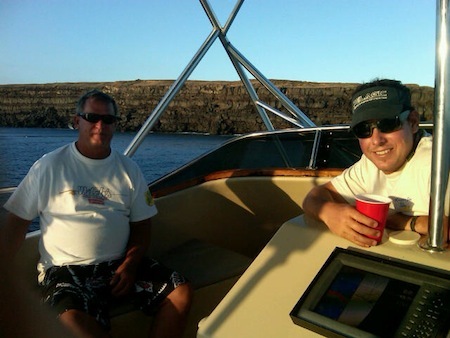 Captain Mike and the Maggie Joe were again invited to participate in the HIBT – an invitation only tournament featuring some of the best sport fishing teams from around the world. 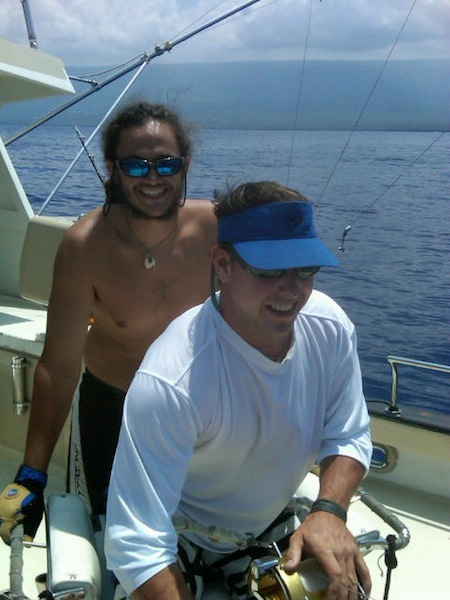 Captain Mark reeled in an estimated 100 lb Blue Marlin before tagging and releasing it alongside the boat. 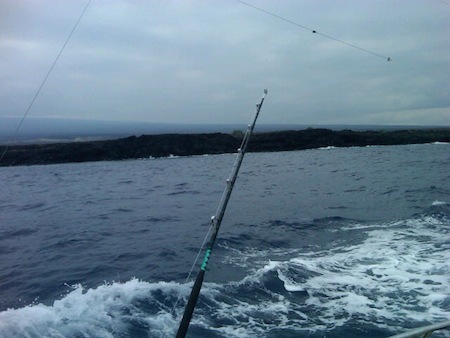 Posted in Deep Sea Fishing, Fishing Tournament Schedule and Results, Gallery, News | Comments Off on Having some fun! 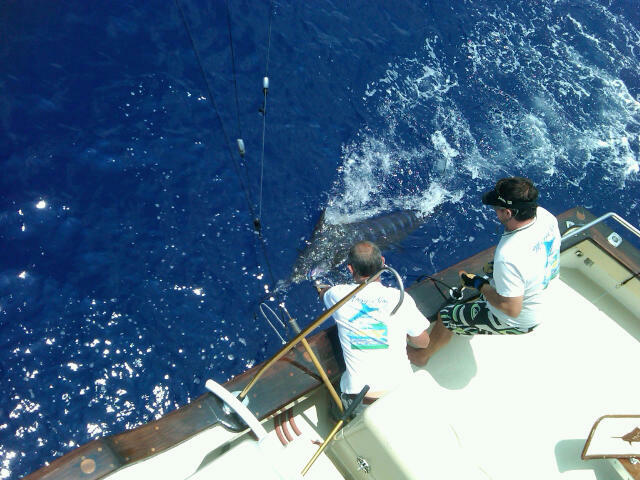 Bristol caught her first Blue Marlin aboard the Maggie Joe while deep sea fishing off Kona, Hawaii on 7/13/11! 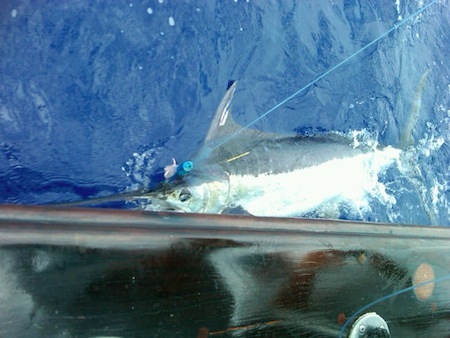 The fish was tagged and released and had an approximate weight of 200 lbs. Great job and aloha! 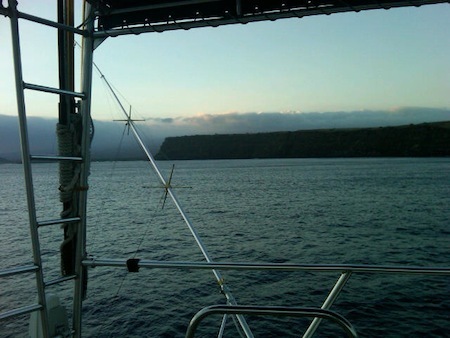 Captain Mike sent in this photo from the Maggie Joe during a sport fishing charter off Kona, Hawaii. 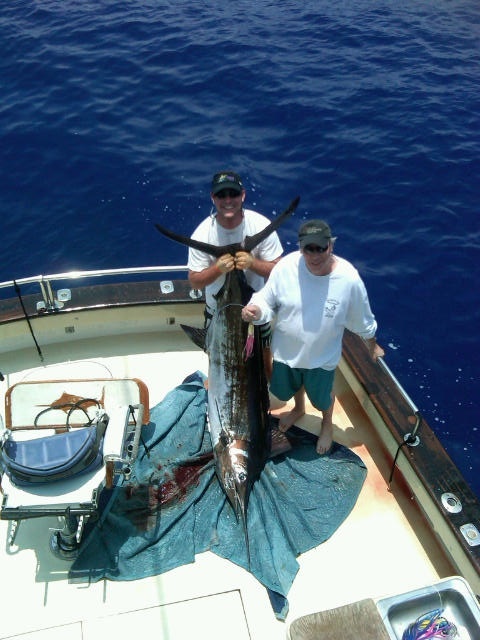 Captain Mark’s father joined Captain Mike and the Maggie Joe crew for a day of deep sea fishing off Kona and was able to reel in this nice Blue Marlin. 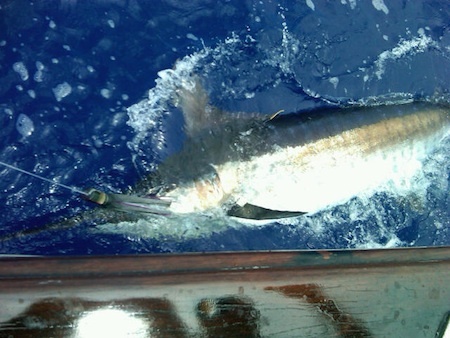 The marlin was tagged and released, hopefully to be caught again during the upcoming fishing tournament.